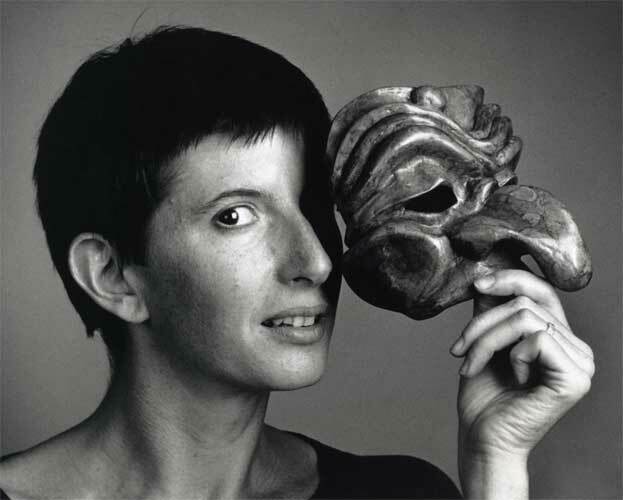 Sad news: Julie Goell, the renowned musician, clown, and theatre teacher, passed away on Sunday. She was a teacher of mine (along with her husband Avner Eisenberg.) She and Avner taught worldwide for a number of years, and I took at least two workshops with them at the Celebration Barn in Maine and at MotionFest. (If you read the obit below, I am pretty sure that I was in the class that now director of Celebration Barn Amanda Huotari talks about!) I’d also seen her do both of her one woman shows at various times, including (I think) the last show she performed at the Brick Theater as part of the NY International Clown Festival. Julie had been struggling with a neurodegenerative condition (similar to Parkinson’s) that over the last 6 years or so that had slowly robbed her of the ability to run, then walk, then speak, then even point. Throughout it all she moved with an inventiveness and attitude and an adaptability and grace that I hope that I can emulate if something similar ever happens to me. You can read this excellent obituary of her to get an idea of what kind of person she was, and the impact that she made on all that knew her and worked with her. As for me, I always had a warm spot for her as a teacher. She had great facility as an actor, and approached clowning with zaniness. In addition to the zany, she brought a sense of theatricality and story and scholarliness that I loved. She clearly knew her stuff, both as an artist and as a teacher, and I appreciated that. Her notes to me about my work as a clown always sent me off into interesting directions. She had a way of criticizing you that made it clear that she liked YOU at the same time that she may not have liked your work this time. I remember the first time I worked with her how exacting she was in terms of how each Commedia character would stand and move. I’d already been to Dell’arte at the time, and they weren’t nearly as exacting in terms of movement. It was exciting to get a different way into the character. Here last year or so she spent dictating a book called Life In a Clown House. The book is part manual, part memoir, and all fun. I have it and it is excellent, and well worth purchasing. Rest In Peace, Julie, and I hope that wherever you are, you are making them laugh and smile just the way you did when you were here.